﻿ Super Duplex Steel S32750 Round Bar,Super Duplex Steel 2507 Rods, S32760 Super Duplex Hex Bar Manufacturer, Exporter. 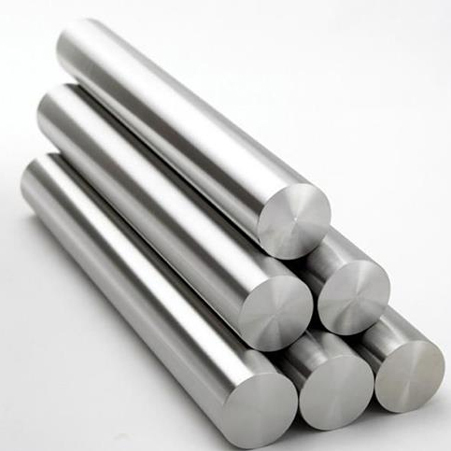 Super Duplex Steel 2507 Bar, ASTM A276 Super Duplex S32750 Round Bars, Super Duplex Steel UNS S32760 Bright Bar, Super Duplex S32750 Rods Suppliers and Dealer in Mumbai, India. 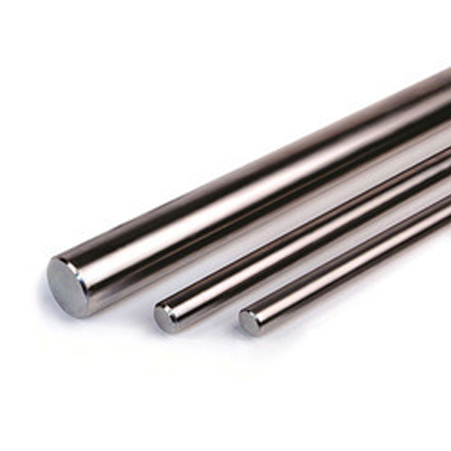 We are expert in making these super duplex steel round bars with the long years of experience and we offer the high quality and desired services to our customers at reasonable rates. And therefore, today we are exporting these products to various countries or cities. 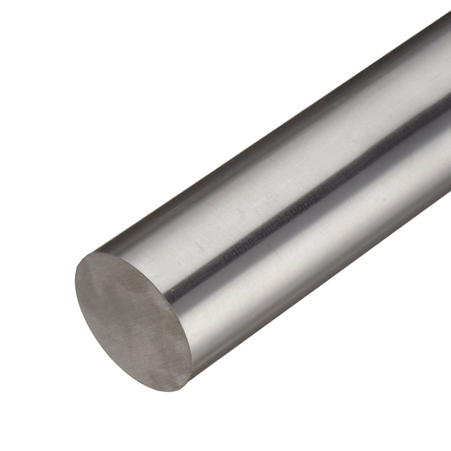 Well, these round bars are made to keep in all the industrial as well as international norms. They are present in different thickness and sizes or in accordance with the clients need. Owing to highly experience team of skilled experts and utilize the modern machinery. The size of the SUPER DUPLEX STEEL ROUND BARS (32750/32760) is from 10 mm to 10 mm dia and the length is from 100 mm to 6000 mm. both the round bars are present in different finishes like black, polish and bright. They are also available in different forms, thus now one can get it as per their suitability and budget. Moreover, they are packed in wooden cases to prevent injury and rusting during transit. Jordan, Tibet, Algeria, Czech Republic, Saudi Arabia, Australia, Hong Kong, United States, United Kingdom, Philippines, Denmark, Egypt, Chile, Sri Lanka, South Africa, Pakistan, United Arab Emirates, Colombia, Portugal, Indonesia, Bahrain, Malaysia, Japan, Ghana, Switzerland, Gabon, Angola, Croatia, Spain, Mongolia, Puerto Rico, Yemen, Vietnam, Mexico, Canada, Singapore, Italy, Romania, Nigeria, Macau, Iraq, Venezuela, Namibia, Belarus, India, Iran, Azerbaijan, Serbia, China, Iran, Thailand, Kenya, New Zealand, Bhutan, Mexico, Bulgaria, Qatar, Hungary, Greece, Lebanon, Belgium, Morocco, Austria, Kazakhstan, Germany, Bangladesh, Turkey, Afghanistan, Slovakia, Ecuador, Ireland, Trinidad & Tobago,Tunisia, Zimbabwe, Argentina, Finland, Sweden, Netherlands, Peru, Nigeria, Taiwan, Israel, Costa Rica, Lithuania, Russia, Ukraine, Poland, Poland, Gambia, South Korea, Nepal., Chile, Bolivia, Kuwait, France, Libya, Brazil, Oman, Norway, Estonia. Al Khobar, Coimbatore, Faridabad, New York, Bangkok, Madrid, Abu Dhabi, Ho Chi Minh City, Caracas, Brisbane, Karachi, Courbevoie, Melbourne, Chennai, Ranchi, Lahore, Mumbai, Haryana, Petaling Jaya, Jaipur, New Delhi, Baroda, Dammam, Kolkata, Chiyoda, Ludhiana, Chandigarh, Dallas, Vung Tau, Milan, Kuwait City, Dubai, Bengaluru, Moscow, Aberdeen, Gurgaon, Secunderabad, Navi Mumbai, Colombo, Hanoi, Istanbul, Surat, Santiago, Geoje-si, Rajkot, Doha, Kanpur, London, Muscat, Vadodara, Jakarta, Port-of-Spain, Bhopal, Sharjah, Indore, Kuala Lumpur, Jeddah, Edmonton, Manama, Pimpri-Chinchwad, Sydney, Pune, Montreal, Granada, Hyderabad, Nashik, Ahvaz, Ernakulam, Bogota, Seoul, Ankara, Visakhapatnam, Toronto, Houston, Lagos, Cairo, La Victoria, Riyadh, Thiruvananthapuram, Calgary, Busan, Ahmedabad, Ulsan, Howrah, Gimhae-si, Hong Kong, Los Angeles, Perth, Al Jubail, Nagpur, Atyrau, Jamshedpur, Rio de Janeiro, Singapore, Thane, Algiers, Mexico City, Tehran, Noida.